Scottish Highlands Paintings & Prints - Highland Cottage, Highlands, Scotland. 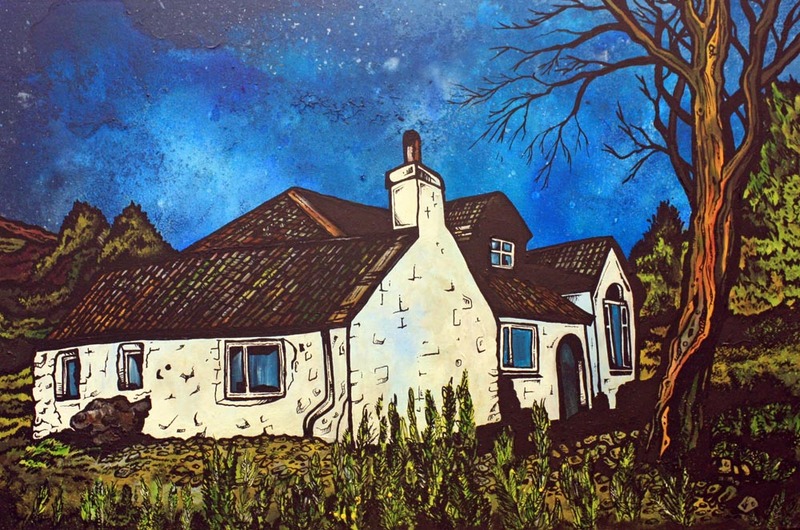 An original painting and prints of a Highland Cottage, Highlands, Scotland. An original abstract, atmospheric landscape painting of a Highland Cottage, Highlands, Scotland. This was a commissioned painting for a client. A range of prints are now available. Commissioned painting on canvas of a Highland cottage.